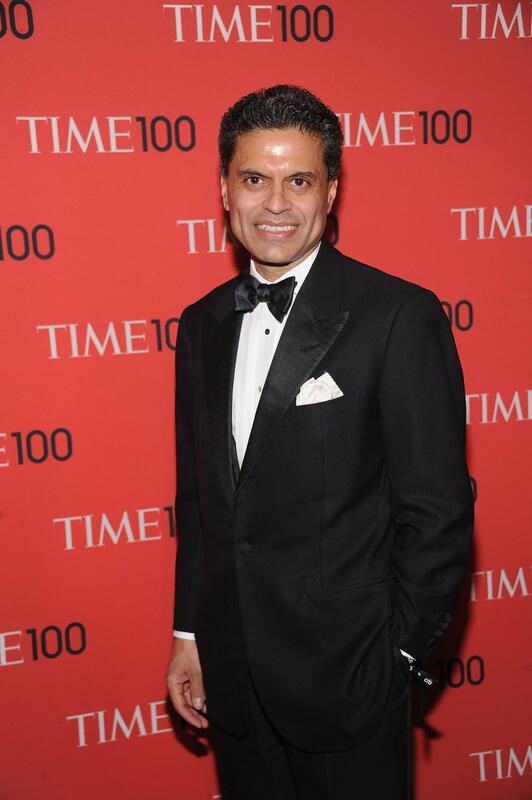 Fareed Zakaria, plagiarism: Copying and pasting in "The Post-American World 2.0"? The passage on the right is from Zakaria’s The Post-American World 2.0 and was also published in Newsweek. 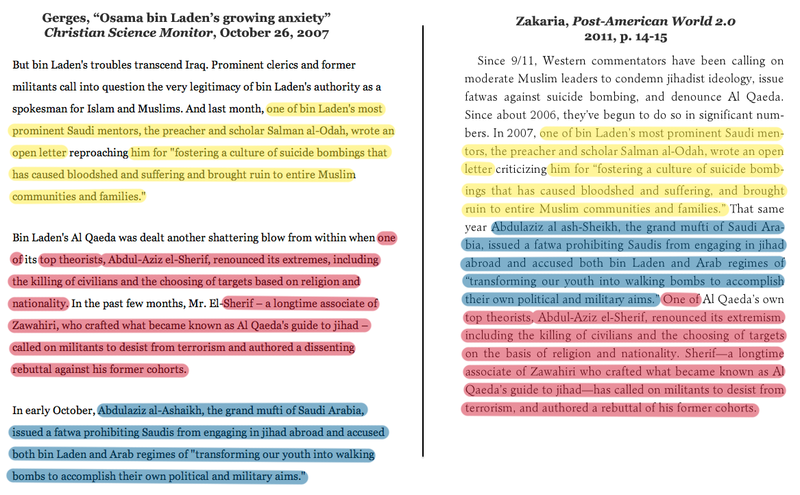 The Christian Science Monitor article on the left is apparently neither mentioned by name in Zakaria’s text nor cited in his endnotes. In another paragraph from The Post-American World 2.0, Zakaria quotes three 19th-century passages from the publications Le Figaro, Kreuzzeitung, and the New York Times; the same three passages from the same three publications are also quoted word-for-word in a single paragraph of a piece published a decade earlier by Karl E. Meyer for the World Policy Journal. Read the entire Our Bad Media post here.